“ The most flexible heat exchanger coil manufacturer” Welcome to the site of Freddomatic. 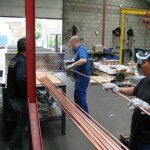 Freddomatic is a flexible and involved producer of heat exchangers from copper-aluminum for refrigeration installation. 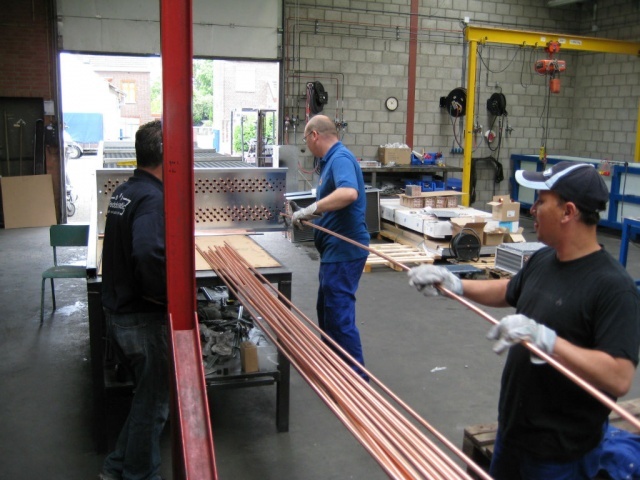 Freddomatic for over 50 years known as a Dutch company dedicated to the own production / manufacturing, as well as the design of custom copper-aluminum heat exchangers for commercial refrigeration and freezing. 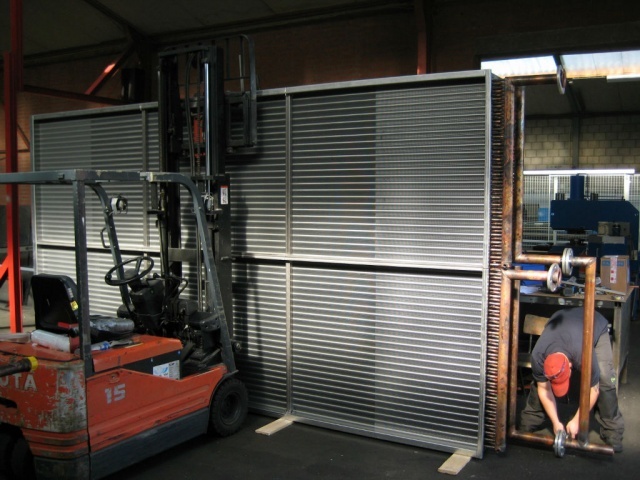 Started as an importer and wholesaler of refrigeration components is Freddomatic now become a major producer of custom and mass production heat exchangers in business to business relationships, especially for the Dutch as well as indirectly the European and global market of refrigeration manufacturers, installers and project organizations. Strong point is the approach to this niche market, breaking the link of their own expertise to the design specifications of a client. Freddomatic produces in-house various types of heat exchangers, such as DX evaporators, Condenser Batteries, Hot & Cold medium batteries. The whole specification according to thermodynamic and geometric dimensions in consultation with the customer. The production is entirely in your own hands and takes place in Maastricht. Through its own large flexible variety of machines for sheet metal, strips and copper manufacturing operation with a number of qualified craft disciplines, leading to supply both heat exchangers complete with fans as well as semi-finished products in the form of only the batteries. These are often at clients further assembled into a full installation or finished product, whether or not forming part of an overall project. 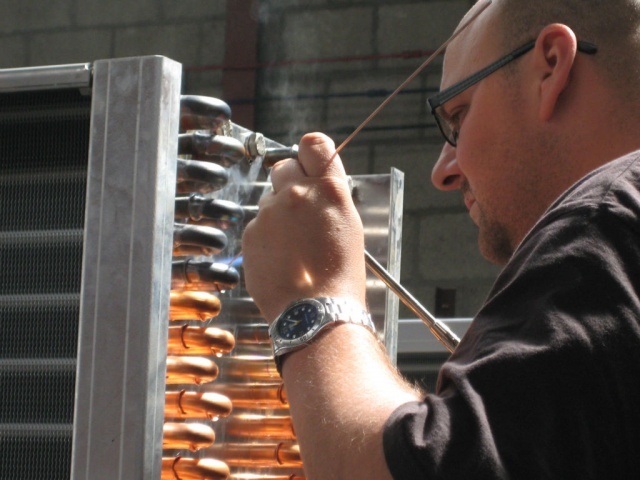 Freddomatic heat exchangers are pressure tested after manufacture according to PED directive. 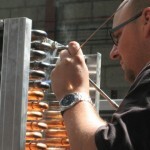 Freddomatic produces four different slat geometries with three different copper pipe diameters. Also stainless steel tubes 5/8 “with aluminum fins is nowadays one of the variants. 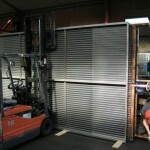 Plating of heat exchangers and complete enclosures or with axial fans are made completely to order. Application of heat is roughly divided into several categories: Cooling foods for the retail and hospitality industry; Cooling and Heating in fruit and vegetable sectors such as fruit, horticulture, seed processing and dry for at (flower) bulb nurseries; Transport – and Process Cooling and Heating in industrial processes; Applications of batteries in AHU air handling units and many other applications .